Invariably the lengthiest league table of the sui generis annual EducationWorld India School Rankings (EWISR) survey published every September, is of co-ed day schools. After the founding fathers of the Constituent Assembly endowed the citizens of free and independent India with arguably the most liberal, equitable and gender egalitarian Constitution of any nation state worldwide in 1950, co-ed K-12 education has become normative, with even rural government schools set within deeply patriarchal societies, routinely providing gender integrated co-ed schooling. Although most government schools continue to practice de facto gender segregation inside their classrooms, the great majority of educated middle class and most certainly SEC (socio-economic category) ‘A’ households countrywide have accepted co-ed day schools as the norm. Therefore, it’s unsurprising that the longest league table in the annual EWISR is always of co-ed day schools. This year, of the Top 1,000 schools rated and ranked in EWISR 2018-19, co-ed day primary-secondaries number over 600, although the last rank awarded is 285. 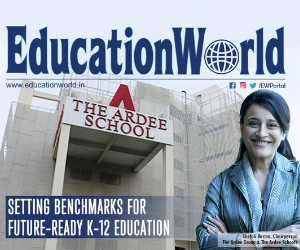 The difference in the two numbers is attributed by C fore — the highly reputed Delhi-based market research and opinion polls company which conducts the nationwide EW survey and rates and ranks over 1,000 of India’s most well-known schools in the major (day, boarding and international) categories and 10 sub-categories on 14 parameters of education excellence — to the large number of institutions awarded identical aggregate scores and tied rankings. Against this introductory backdrop, the notable feature of the 2018-19 co-ed day schools league table which runs over 64 pages in this issue, is the return of Vasant Valley School, Delhi (VVS, estb. 1990) to the #1 slot. Invariably ranked among the Top 3 and #2 for the past three years, this CBSE-affiliated K-12 school promoted by media tycoon Arun Poorie 28 years ago, has displaced Step by Step, Noida (SbS) which is ranked #3 this year, below the Valley School, Bangalore (ranked #2 in 2017-18) together with Heritage Xperiential Learning School, Gurgaon (#5) which this year’s sample respondents have promoted to #2. SbS is co-ranked at #3 (1) together with the Smt. Sulochanadevi Singhania School, a Mumbai (3) followed by Mallya Aditi International School, Bangalore (3), The Shri Ram School, Delhi (4) and Inventure Academy, Bangalore (9) — all ranked #4 on an expanded Top 5 table of this year. “We value our ranking in the highly credible annual EWISR because it gives confidence to parents and students, and validates what we are doing to provide well-rounded, comprehensive education. I am especially pleased that VVS is top ranked under the parameters of teacher competence, co-curricular education and individual attention to students. Our mantra is that teachers themselves must ‘return to school’ while teaching children. Similarly, we take co-curricular education very seriously. All our music, dance and performing arts teachers work full-time with us and are encouraged to perform publicly. We also pride ourselves for paying focused attention to every student. Despite long waiting lists, we maintain a teacher-pupil ratio of 1:10 and ensure that no child is left behind,” says Arun Kapur, a history postgrad of Delhi University, former teacher at the top-ranked Doon School, Dehradun, former principal of the British School, Delhi and founder-principal of VVS which he has nurtured over the past 28 years into India’s consistently top table co-ed day school. 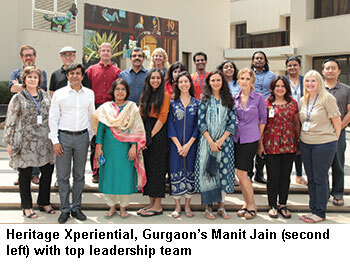 Manit Jain, promoter-CEO of the new millennium Heritage Xperintial Learning School, Gurgaon (estb. 2003), which has won golden opinions from the 4,729 sample respondents in north India who have leapfrogged it to #2 on the 2018-19 co-ed day schools league table, is “feeling very good” about this massive endorsement. This greenfield school was promoted by him and his wife Smriti (both Harvard School of Education graduates) — “without the backing of any large business or industrial group”. “It’s acknowledgement of the hard work and innovations that we have introduced in K-12 education over the past 15 years, including our unique human development framework for students. I am especially gratified that your knowledgeable respondents have top ranked Heritage on the parameters of teacher welfare and development and leadership because we have constituted a top-level 11-strong leadership team which includes several expatriate educationists engaged in continuously training and developing our teachers,” says Jain, co-founder and director of the three Heritage schools in Delhi and Gurgaon with an aggregate enrolment of 6,000 students. The great leap forward in the estimation of peninsular India’s 3,155 sample respondents of the Inventure Academy, Bangalore (IA, estb. 2005) from #9 in 2017-18 to #4 in the national league table, and #2 in Karnataka and Bangalore is equally impressive. “The huge promotion given to Inventure in the highly credible and non-commercial EWISR is tremendous validation of the innovative education that we provide our students. In Inventure we believe that children learn best by doing. Therefore as testified by our good scores under the parameters of co-curricular and sports education we pay great attention to the all-round development of our children. We believe we have developed an excellent curriculum and learning culture in IA over the past 15 years and we are willing and to share our curriculum and best practices with interested schools,” says Nooraine Fazal, an alumna of Mount Carmel College, Bangalore and Boston University, USA, who worked abroad for blue-chip multinationals including Reuters and IBM for 12 years before returning to India to co-promote the Inventure Academy of which she is CEO and managing trustee. Currently the CISCE and CAIE (UK)-affiliated IA has 1113 students mentored by 165 teachers on it muster rolls. The EWISR 2018-19 league tables have also provoked celebrations in Vidyashilp Academy, Bangalore (estb. 1996). This CISCE-affiliated class I-XII co-ed day school had been languishing in the national Top 30 for the past quinquennium. However after the retirement of Ravindra Vithani hitherto managing trustee of the school in 2014, and real estate and construction magnate Dayananda Pai taking charge as managing trustee and his highly qualified daughter-in-law Kiran Pai, an education alumna of New Hampshire (USA), and Monash (Australia) universities, as director in 2014, the school has experienced a dramatic transformation and has risen high in the esteem of the informed public in peninsular India. Ranked a modest #22 in 2017-18, this year Vidyashilp is ranked #8 nationally and #3 in Bangalore, a neo-metro highly reputed for its excellent primary-secondary schools. “All of us in Vidyashilp Academy are thrilled to learn that our school is ranked among the Top 10 co-ed day schools in India, and among the Top 3 in Bangalore. The endorsement and validation given by your well-informed sample respondents to our institutional development efforts is encouraging and morale boosting. In particular, the high scores awarded to Vidyashilp on the important parameters of teacher welfare and development, academic, sports and life skills education are testimony to the high-quality holistic education delivered to our students,” says Pai. 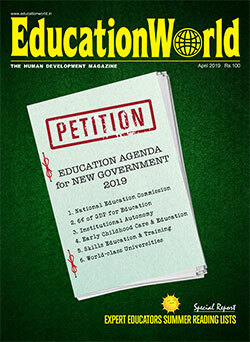 Although the entry of new-genre new millennium schools led by highly qualified professional educators into the Top 10 table of co-ed day schools is undoubtedly a positive development for India’s conservative K-12 education sector, as noted above, for day schools national rankings are of marginal interest. For parents and students enrolled in day schools, city and state rankings, in that order, are of far greater interest and import. Therefore for households in the national capital, the #1 rank of Vasant Valley School in Delhi is of far greater interest and utility than its premier national ranking. Likewise for parents and students in Bangalore, the #2 rank of Inventure Academy and #3 of Vidyashilp in the garden-turned-garbage city is of far greater importance, although their Top 10 national rankings are reassuring. Therefore for managements, parents and students of day schools, the true value of the exhaustive EWISR survey for which 12,214 sample respondents including principals, teachers, parents and senior school students in 27 cities countrywide, have been interviewed over four months by 122 field personnel of C fore, is to be found in the city and state league tables in that order. For the simple reason that it is far-fetched — indeed absurd — to believe that parents in city A will move home and hearth to city B because the best day schools are sited in the latter or vice versa. Therefore for households in Ahmedabad (Gujarat), the fact that the Top 3 co-ed day schools in the city (pop. 6.3 million) are Eklavya, Udgam School and Anand Niketan, Thaltej is of far greater import than their #17 , #70 and #102 rankings in the national league table. The Ahmedabad city league table (p.78) also informs discerning parents that while Eklavya School is top-ranked overall by a wide margin, Udgam and New Tulip schools are top ranked under the parameter of teacher welfare and development, and Udgam under the parameter of academic reputation. Similar detailed information and the relative rankings of co-ed, boys and girls schools is provided for 29 states and 199 cities. 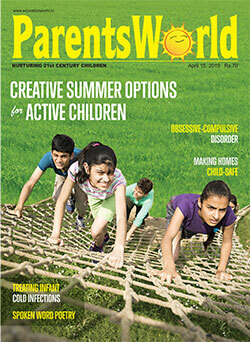 The macro and micro league tables in this much-awaited annual issue of EducationWorld can be analysed, sliced and diced for parents to choose schools most aptitudinally suited to the needs of their children. For other stakeholders in K-12 education — promoters/proprietors, principals, teachers and philanthropists — the sui generis EWISR league tables provide a mine of information and informed perceptions which would help them to make business, career and donor decisions. Indeed even at the risk of sounding self-congratulatory, the width and depth of information relating to the country’s Top 1,000 primary-secondary schools in the EWISR 2018-19 survey is unprecedented and unmatched globally. 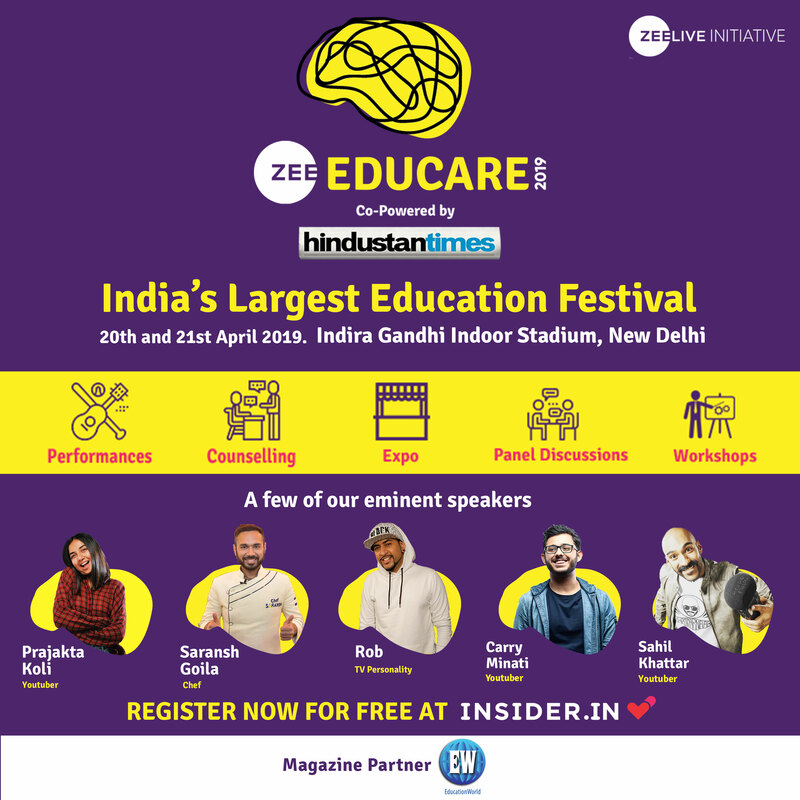 We advise educationists, principals, teachers and above all parents, to carefully mine, analyse, slice and dice the data presented in this issue.